If you feel like you’ve lived your life with multiple unexplained symptoms and problems, you may have mast cell activation syndrome. Dr. Schofield at the Center for Multisystem Disease is one of only a few doctors who specialize in this newly recognized condition. If you’re ready to get an accurate diagnosis and symptom relief, call the office in Denver or book an appointment online. Mast cells are central players in your immune system, where they stand guard at the places in your body that may be exposed to foreign invaders, such as your skin, respiratory tract, gastrointestinal tract, and genitourinary system. They’re also found in every organ and most tissues throughout your body. When mast cells encounter an invader, such as parasites, bacteria, and viruses, they release a barrage of chemicals to destroy the threat. Also, it is becoming clear that a subset of patients who have been diagnosed with chronic fatigue syndrome/myalgic encephalomyelitis have mast cell activation syndrome. Mast cell activation syndrome (MCAS) is a newly recognized disorder. The first diagnostic criteria were just proposed in 2010. MCAS occurs when mast cells release their potent chemicals in response to things like stress, change in temperature or smells, rather than being triggered by an allergen or a pathogen. What are the symptoms of mast cell activation syndrome? Since mast cells exist throughout your body, MCAS causes a wide range of symptoms and problems.delete extra period. General: lethargy, fatigue, malaise, low grade fevers, night sweats, unexplained weight gain or loss. Patients with MCAS may go through periods of remission followed by a flare-up of symptoms. Over time, symptom-free intervals shorten and eventually your symptoms become chronic with fluctuating levels of intensity. Over time, the type of symptoms you are experiencing may also vary. What triggers mast cell activation syndrome? How is mast cell activation syndrome treated? The first line of treatment for MCAS is identifying and avoiding the things that trigger your mast cells to release chemicals. Dr. Schofield can help you develop a way to track your symptoms and potential triggers. She may also recommend medications to help quiet down your mast cells. 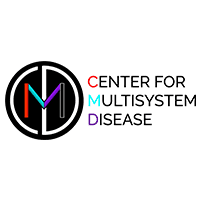 If you have ongoing, unexplained multisystemic symptoms, call the Center for Multisystem Disease or book an appointment online.